Luke Cage is good! If you're on the fence about trying it out, you really should. It might not be for everyone, but I think it's a great addition to the Marvel Cinematic Universe. Luke Cage is all about Harlem, coming to terms with your past, community, and culture. It's also about street level superheroes and gang warfare. Just as much as Jessica Jones or Daredevil, Luke Cage is about it's villains. They get at least equal screen time to the main hero cast of characters. This character development on both sides makes confrontations and payoffs feel like they have true weight. Overall, Luke Cage has just made me even more excited for Iron Fist and The Defenders. I can't wait to see all these New York street heroes come together to form a rag-tag team. There are some nods to this in the story, especially with a recurring crossover character from the other Netflix MCU shows. I still think Jessica Jones is the best season of TV Marvel has done but Luke Cage is easily above Season 1 of Daredevil. Personally, I would rank them from "worst" (worst in context but actually still good) to best Daredevil Season 1, Luke Cage, Daredevil Season 2, Jessica Jones. But that's just me. I can also easily see Luke Cage being someone's favorite out of this corner of the MCU. 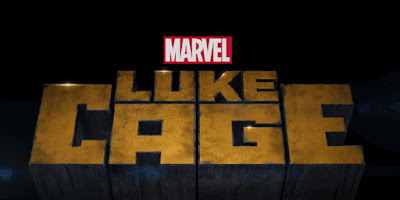 As always, your mileage may vary, but I think it's definitely worth your time to give Luke Cage a shot. Watched it over the weekend (even though I have school work to do). It's good but Daredevil season two is the best Netflix Marvel series in my opinion. Luck Cage is a close second Jessica Jones is last for me because it just seemed to drag in some episodes maybe because I wasn't really interested in the story. Yeah, it seems like everyone orders the Netflix MCU differently, but at least they're all good!